The Andaman Islands are an archipelago of more than 300 islands offering a spectacular view of water, air, and forest. With picturesque landscape, natural phenomenon, emerald forest, pristine waters and beautiful beaches, Andaman Islands become the most relaxing getaway for the travellers, honeymooners and nature lovers. The scenic views are the real feast of your eyes and surely a visual treat for those who want to enjoy memorable Andaman Holidays. There are many Andaman holidays packages to help you explore the places of attraction and activities to indulge in. If you are interested in exploring the Andaman Holidays in all different way, you can choose some of the best tour packages mentioned in this article. As survey reports have come from different sources a vast majority of travellers prefer these Andaman holidays packages during the time of their visit to the Andaman Islands.A plethora of amazing experiences and beautiful attractions are kept on a platter for a quick pick and indulge in one that exactly suits your needs and interests. You can fly there anytime. To be more precise, you can reach to these lovely islands on any of the weekend. You are sure to love this trip. From any point of Indian, it will take just take maximum 3-4 hours on air. Chennai, Kolkata and Bengaluru it will take nearly 2 Hours from. A perfect program to get around is to hop from one island to other. This trip takes you to the best-rated and highly sought after places of attractions in the Andaman Islands during your vacation spending to the Amazing Andaman Island. Explore white sand beaches. 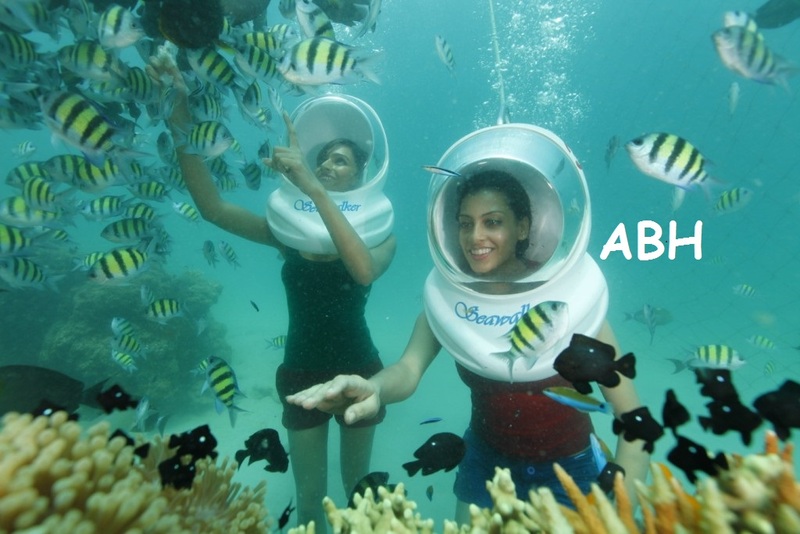 Take part in boat rides and snorkelling to enjoy your Andaman holidays with your heart’s content. This is very good for a vacation spending with you dear ones. It is set for nice and calm trip experience. Itoffers you an exposure to the top rated attractions in the Andaman and Nicobar Islands. Explore the unexplored beauty and sought after destinations during the time of your visit to Andaman. If you are planning for a memorable vacation spending, you can choose a complete package offered by a reputable tour organizer. Are you tired of a monotonous life of repetitive activities? Take a break from the monotonous like and hullaballoos of the daily crowd. Reach there where waves hit the land. Yes, I am talking about the beautiful and therapeutic beaches of Andaman and Nicobar Island. 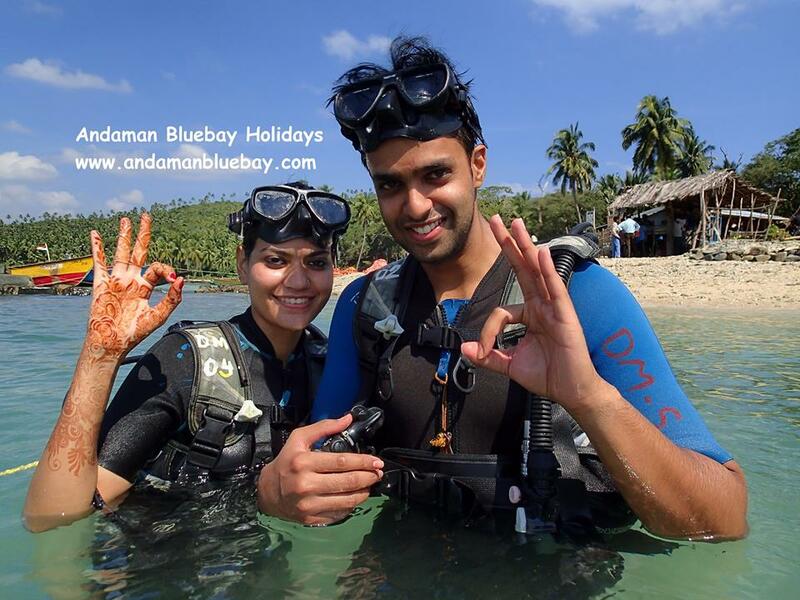 An Andaman tour gives you an opportunity to let the sun sparkle on your face. The sun beam will sensationalize your tackle feeling. 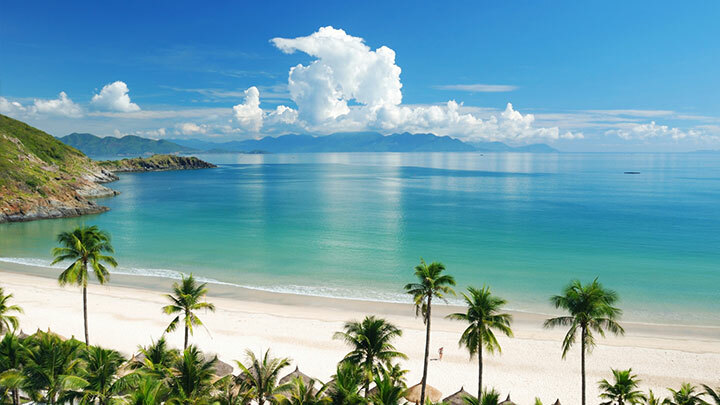 Get around this pristine paradise and explore the exotic beaches. These will be a real feast for your eyes. Andaman Holidays ensure a lifetime experience with wonderful vista, picturesque landscape, amazing natural phenomena and stunning marine life. These are well enough to change the view of those who tell Andaman is “Kaala-Pani”. Andaman Islands are a basically group of islands in the Bay of Bengal located in the south of India. It is a Union Territory of India. There are as many as 572 islands. Only 38 out of 572 are inhabited by the local tribe and out comers. The history of Andaman and Nicobar islands started in 1788 with the British who establish a penal settlement here. The freedom fighters and criminals were banished from India and impressed here for penal servitude. As the main part of Andaman Guide, I will tell you how to reach Andaman. There are both airways and waterways to reach Andaman and Nicobar Island. Port Blair is the port and airport to touch the land of Andaman. From there, you will have many vehicles and buses to get around. After reaching there you can book a hotel or meet your people at tour organizer office. Most of the lodges and houses in Andaman offer a spectacular view of open sea view from your balcony. These are well enough to chill and make you feel fresh. You can start with Corbyn’s Cove Beach. Although there is nothing special at Corbyn’s Cove Beach, the calm water and amazing view of the beach will give you a different kind aesthetic pleasure. The road to this beach is lovely and very beautiful. In the same way, you can see Ross Island. After visiting the beaches, you can go to the nostalgic prison cellular Jail. You can see the pictures of freedom fighters- the past stories of Indian history. It will help you understand the real value of Indian freedom fighter. You need spend at least 2-3 hours to visit and cover the entire jail. It is really great feeling when you will enter into the Veer savarkar’s cell. Light and sound show session in evening is amazing. It is nearly a 15 min boat ride from the jetty to the Island. This Island was taken as the capital of Port Blair during the British regime. Known as the “Sunset Point” and “Bird Island, Chidiya Tapu is one of the best places to enjoy the beauty of Andaman. Known for its clear blue waters and white sand beaches lined with mahua trees. It gives Havelock Island a picturesque view. With long treks, beautiful forests and fascinating backwaters, Havelock offers an ideal escape into adventure and scenic beauty. This tranquil and beautiful island welcomes you to explore coral reefs, beautiful beaches and rich wildlife. A few virgin beaches are well enough to make your mind calm and quiet. Located in Northern Andaman, the Limestone caves offer you rich tribal reserves. You can have a quick look at the sun-bathing crocodiles disguised perfectly in the mangrove forests of the area. Andaman is a place full of surprises to be explored. 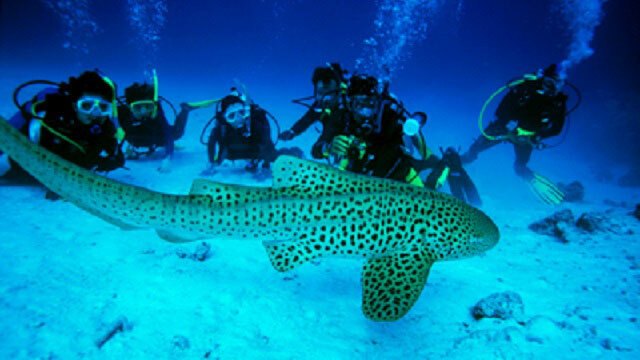 Adventure Tour Packages in Andaman satisfy the desire for adventure. The place is full of forests, beaches, sea, mountains and more for the wackiest adventure! The tour packages include a variety of adventure like trekking, underwater exploration, scuba diving, parasailing and more. All one has to do is to be ready for action and enjoy your stay. The surprises await on the island is abundant and meet the needs of an adventure seeking heart. Snorkeling: It’s a great opportunity to see the underwater life firsthand. They do not require much of a skill. Just floating on the surface with the necessary gear provides hours of enjoyment and visual treat of the rarest coral, fish and other sea creatures. There are different places for snorkeling, North Bay closer to Port Blair is the popular place for this! Diving: Diving is definitely for the bold heart; Havelock and other places for diving provides spectacular opportunity for undersea exploration, excitement, photography, spiritual contentment and more. The coral reefs and other creatures are untouched by human intervention, is the natural form. Tension is sure to increase. 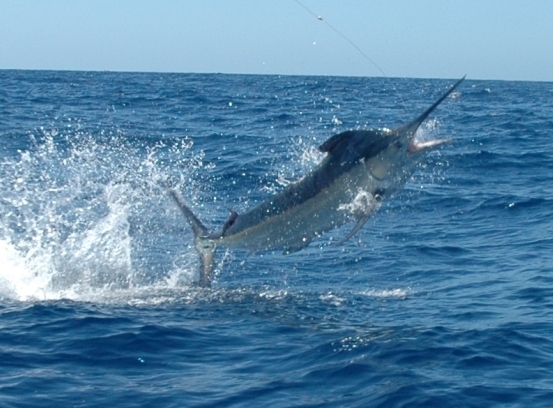 Game Fishing in Andaman: Fishing has always seemed to entertain people. 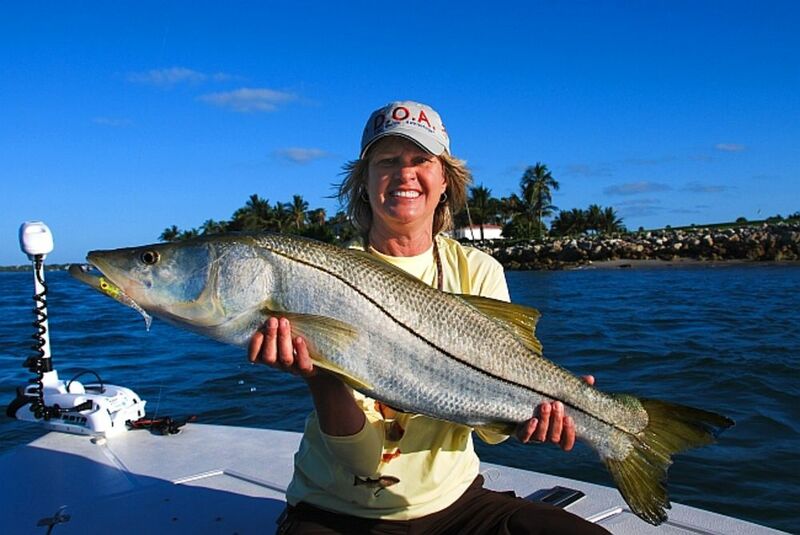 It’s a great experience with the well-equipped boat, unexplored seas, and a fishing rod. Game fishing will definitely be tried here. Trekking in the forest: The mangrove forests provide the best venue for trekking and wildlife spotting, exploration. Beautiful streams are formed which draw many tourists. The flora, fauna and scenery is easy on the eyes. The adventure is carefully administered under controlled supervision. The guides know the best places for snorkeling, diving, trekking and much more; they know the best time to visit these places for the best seasons. The cost of the package is worth, which includes travel, accommodation, food and other add-on features accordingly. The scheduled day is well spent for adventure activities. Plans are perfectly executed according to customer comfort. The memories created here will be forever etched in mind. The well-organized packages are the best. The adventure tour packages provide the ultimate experience. Andaman is a place full of surprises and natural wonders. It just song and bold heart to enjoy the wonders of this place. The Andaman Holidays Packages provided meet adventures instincts and keep adventurers busy with splendid ventures that are admirable. Andaman and Nicobar Islands are one of the most attractive and beautiful parts of India. These are a group of small islands in the Bay of Bengal and are recognized as one of the most striking among applicants for a perfect holiday destination. The place is one of the seven territories of the countries of the Union existed long before independence. You can enjoy the magnificent beauty of the beaches, exciting wildlife, blue lagoons, exciting excursions and spectacular marine life. This beautiful place attracts visitors from distant places and tourists have changed the perception of the place and are very eager to explore this beautiful place. The Andaman and Nicobar Islands are an ideal place for people from different parts of the tourist destination of the world. In addition, packages are available all year. Our travel agencies organize tours for visitors and offers Andaman Holidays to perfect this incredible place. His trip to this beautiful island can be full of fun and adventure as the place has several beautiful places for tourists. The flora and fauna, diverse and stunning beauty adorned with wonderful hotels in Port Blair to make your stay pleasant and comfortable. The Andaman Holidays staff responds to your needs and requirements in the best possible way to make your stay as comfortable and enjoyable. Amazingly enhanting and greatly mystifying, the beauty and essence of Andaman and Nicobar Islands can hardly be defined in singular words. The islands have been mentioned by numerous travellers in their dairies and travelogues for the longest time, and there are limited but concrete evidences, which speak of the people who are native to these lands and have been here for centuries. During the British colonial rule, these beautiful islands were something that were dreaded since Kaalapaani or Black Waters, where the freedom fighters were tortured, was situated here. But now things have changed, people from all over the world come by to enjoy the local culture and enjoy the beautiful beaches that the island is home to. Geographically, these islands are located in the Bay of Bengal and are part of the Indian mainland. It was once a continuous hills range that extended all the way from Myanmar right up to Indonesia. A large part of the island is covered in evergreen forest and is home to a wide range of flora and fauna. The islands are considered to be home to some of the oldest tribes in the world. There are four known Negroid tribes of the region, namely Sentinelese, The Great Andamanese, Jarawas and and Onges, while there are also two known Mongloid tribes namely Nicobarese and Shompens. The population of these tribal people have reduced considerably, however measures are being taken by the Indian government to ensure that the race continues to remain preserved. The government prohibits the tourists from contacting any of the tribals. They have remained isolated from the rest of the world and perhaps this is the reason why they are more in tune with nature, so much so that they could predict the onset of the Tsunami that occurred in the Indian Ocean back on 26th December, 2004. The islands of Andaman and Nicobar like most of the islands in the Indian Ocean have a tropical kind of climate. There is a little warmth, a little rain and, as is common with tropical climate, a lot of humidity. The islands mostly experience rain or heat. However due to the winds that keep blowing in from the ocean the temperature remains between 23 degree Celsius and 30 degree Celsius. The monsoons come in twice, once between May and August and again from November to December. Although it is considered to be an ‘off season’, it remains pleasant. However sightseeing and water sports activities do take a backseat during these months. It is in the months from December to April that the island is considered to be ideal for a visit. Considering the fact that the islands of Andaman and Nicobar consist of about 572 islands, it is no wonder that it has possibly the most beautiful beaches in the world. This in turn attracts a lot of tourists, both Indian and foreign, to the region when the climate is pleasant. Some of the most important beaches include Radhanagar Beach, Ramnagar Beach, Karmatang Beach, Laxmanpur Beach, Corbyn’s Cove etc. Most, if not all, of the beaches have huts and also benches which allow you to spend many hours enjoying the beautiful sun and sand. The pristine white beaches are a result of corals and shells washing up on the beaches and then breaking down resulting in sand. Since the islands are home to a large number of beautiful beaches, it is no wonder that the adventure sports that are available here have a lot to do with water. Its most popular adventure sport is the Sea Walking which involves watching the beautiful fishes and corals while walking on the ocean floor. Some of the other popular adventure sports include scuba diving, snorkelling, sport fishing, wind surfing etc all of which find great demand with the tourists. The place is haven for those who love nature. There are several areas on the island where one can enjoy trekking or even camping. Accommodations of all kinds are available on the island. There is something for everyone depending on the budget. There are hotels, resorts, manors, inns and even government hostels that can accommodate the large number of tourists who visit the island each year. The cost of staying at one of these places varies on the basis of several factors like location, luxury etc. However, irrespective of whether you are capable of splurging money or are on a shoe string budget, there is something for everyone here. Andaman has a rich, although painful, history and there are quite a handful number of places which showcase this history. There is a lot to see for all the nature lovers as well. Apart from the structures which you can check out, there are several natural places including the beautiful islands like Neil Island, Baratang Island, Long Island, Cinque Island etc. Some of the popular places to visit include the cellular jail, Mahatma Gandhi National Park, Chatham Saw Mill, Samudrika Museum, Anthropological Museum etc. All of these places are very captivating and you will spend a considerable amount of time here. The beautiful beaches are always the most popular haunt of the tourists and during the peak season you will find most, if not all, of the popular beaches chock – a – bloc with tourists. These beautiful islands of Andaman and Nicobar can be reached either by air or by water. There are regular ships and flights that leave from mainland India to Port Blair, the capital of the island. Although Indian nationals do not have to apply for any special permission, foreign tourists get a permit issued by the government. The islands of Andaman and Nicobar have only recently began gaining popularity but people have been coming in from all across the globe to indulge in its beauty and serenity. While some come here for its tourist spots and the water sports that are provided here, some others come in to immerse themselves in the calm that some of the islands offer. It is a place that must be visited at least once in your lifetime. The Andaman and Nicobar are a paradise for nature lovers and therefore attract many tourists every year. This is a beautiful place that offers an ideal stay. Nicobar has a small but fully furnished world itself. Andaman and Nicobar Tourism enjoys the beautiful beaches and beautiful mangroves. Andaman and Nicobar Islands are ideal for those who enjoy being in the silence of nature. Around the sides are divine. The island of Andaman and Nicobar is rich in marine life. Birds and flowers are another attraction of this island, which attracts many tourists. 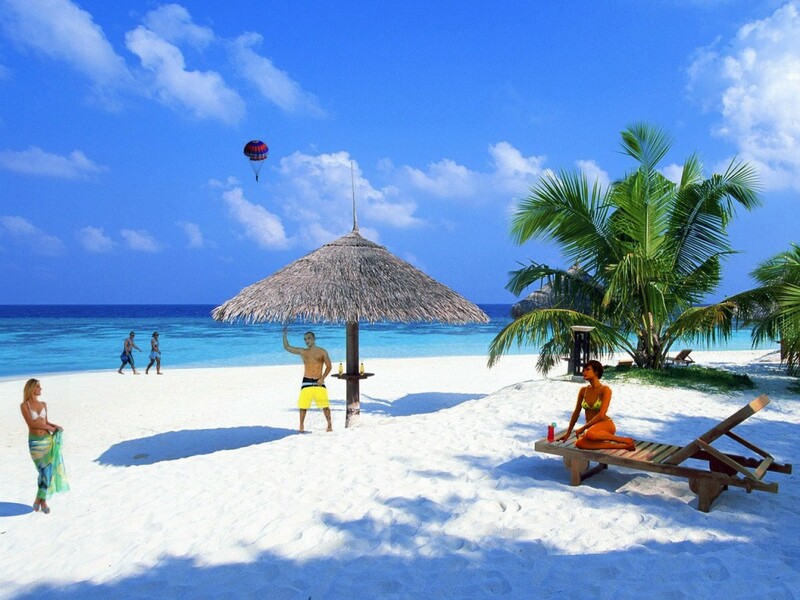 Andaman Holidays also includes a variety of beaches on the island of Andaman, which have a homogeneous character. One can enjoy the pristine beauty of nature on this island. The famous Indira point is the lighthouse on this island, which is located at the southern tip of the country. The view of the gigantic structure of this lighthouse is sufficient to limit visitors to the charm. Nicobar Island Sightseeing also includes Katchal most attractive that is popular for its beautiful beaches. Other attraction such as the Andaman is also famous for its natural beauty without end. The beautiful and fascinating forests, white sandy beaches and crystal clear sea are the main attractions of the island of Andaman.